Sir - I note with great interest that Mrs Burns concedes that she did in fact know before she wrote her original letter published on the February 27 edition of this paper, that the comments in the Planning for Real consultation were made by Stonehaven residents and not STP. Having accepted this however, she then goes on to suggest that STP should have insisted that people put their names to the comments and that they should have been scrutinised and categorised in some way. Is she seriously suggesting that residents would have willingly participated in this consultation if they thought they might be leaving themselves open to personal attack by people who disagreed with or took exception to what they were proposing? And who would have led the charge in accusing the STP of distorting the outcomes of the consultation by placing arbitrary restrictions on which suggestions were acceptable and which were not? As we informed Mrs Burns on January 28 in our response to the second of her six emails to us between January 9 and February 27: “Planning for Real is a nationally recognised community planning process based on a 3D model. The process allows residents to register their views on a range of issues, to work together to identify priorities, and in partnership with local agencies go on to develop an action plan for change. It would therefore not be right for STP to censor the comments that were made by those residents who participated in the Planning for Real exercises we organised. In respect of the opinion expressed about the allotments, we do not know if that particular comment represented the view of one individual or not; it could conceivably be representative of many more people. STP would rather that you were made aware that such opinions existed and you could then respond accordingly.” Incidentally, Mrs Burns did just that and, on the assumption she was speaking with the approval of the Allotments Association, we included her response in the final published version of the PfR Update. Mrs Burns is perfectly correct when she accuses me of being selective in responding to her comments. There were so many I had to make a choice otherwise the response would have filled the letters page. However, I thank her for giving me another opportunity to respond as one of the issues she raises was contained in her sixth email to us dated February 27 to which we did not reply. Firstly, the answer to her concerns, first expressed to STP in her third email to us dated January 28 and answered on February 5, about informing the owners of the caravans on the Recreation Grounds site about the Plan B public consultation meeting last August is that STP made direct contact with the Recreation Grounds trustees on the assumption that as landlord they would inform their tenants. STP thanks Mrs Burns for recognising that the trustees had not done so and for making the effort to ensure that the caravan owners were aware of the meeting. Secondly, regarding the harbour feasibility study, in our response to Mrs Burns’s second email we explained that a diagram depicting a Marina at the harbour had been circulating in the town and STP believed this was the main cause of concerns about the future of the harbour and STP’s involvement. The diagram was produced by an official of Aberdeenshire Council and not by STP who maintain an open mind on the development opportunities for the harbour area. As regards press articles to the contrary, STP cannot be held responsible for the way reporters interpret the information we give them. We have also explained to Mrs Burns that it was Aberdeenshire Council who approached STP to get involved in what is now called the Stonehaven Harbour Development Feasibility Study, i.e. it was not initiated by STP. Thirdly, the proposal to encourage cruise ships to call at Stonehaven was the one point raised by Mrs Burns in her sixth email to us dated February 27 (the day her first letter was published), to which we had not already responded. This proposal was brought before the STP board by a trustee who was working on it with a colleague from the Rotary Club. The idea was that the ships would anchor in the bay with passengers being ferried to the harbour in tenders which would require pontoons to enable them to dock and in turn dredging would be necessary to install the pontoons. The other STP board members felt more information was required and among other things asked our colleague to produce a draft brochure which would outline for the cruise ship companies what Stonehaven and surrounding area has to offer their passengers. Let me assure Mrs Burns and any other interested parties that his proposal does not take precedence over the outcome(s) of the harbour feasibility study. It is perfectly feasible that the feasibility study will conclude that such a development is not feasible, that’s the point of a feasibility study. 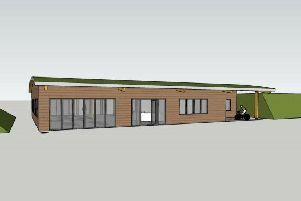 Finally, STP would welcome an approach from the Stonehaven Allotments Association - or any other organisation in the town – for assistance with any projects or plans they may have. Sir - The state of our roads are getting worse for repair and are becoming awful to use, and at times for road users the potholes are now becoming a greater menace. Some of our single track B roads around Kincardineshire are becoming somewhat difficult to travel on and a minefield to use. The increase of attention span a road user uses in having to avoid the potholes can become a hazard in itself, never mind the damage and cost in repairs that is being done to road vehicles. The road surface adjacent to the school in Auchenblae is fast becoming a hazard for school children and road users alike. Why was it when they resurfaced the road at Auchenblae, by Fordoun Parish church the new road surface stopped short of the school? The B966 Fettercairn to Auchenblae road because of the potholes is now fast becoming a disgrace. For road users during spells of wet weather when the potholes are full of water, this creates even more of a hazard because of the potholes being hidden filled with water. Our roads are more like that you would find in a third world country. Then, we have a situation where the A90 from Angus to Aberdeen with all the litter on the roadside verges, in places it looks little more than a rubbish tip. What visitors think when they see the mess, one dreads to know. Opinion polls - Surprising results? Sir- The recent Ashcroft opinion poll for West Aberdeenshire and Kincardine (WAK) shows the SNP well in the lead, with 40% saying they would vote SNP. This would win them the seat with around 18,000 votes. This seems incredible given that this constituency voted 60/40 for NO in the referendum and, at the last General Election in 2010, out of 45,195 votes cast, the SNP only got 7086 votes, ie less than one sixth of those voting. In referendum-speak, this was 84/16 NO. The SNP is predicted to win 50 seats by splitting the Union vote, join the government and, as Alex Salmond recently said “call the shots in Westminster” and “shake Westminster to its foundations”. What he means is he will do all he can to create division and instability in our country so he can realise his dream of independence. How can this be stopped? The three main Union parties have to promote the Union and make strong arguments against the SNP and convince us of their own manifestos. This should include the fact that the coalition has given Britain the strongest economic growth in Europe, record low inflation, a declining debt and deficit, and the imminent delivery of more powers to Scotland and the promise of a referendum on the EU. Then “Union” voters can decide which of the two main Union parties to vote for, either our long serving MP, Sir Robert Smith, or the excellent Conservative candidate, Alexander Burnett. It is unlikely that the Labour candidate, Barry Black, can win the seat and hopefully the labour supporters who are as horrified as me at the prospect of an SNP MP will vote for one of the two main parties. Surely a party that is intent on the break-up of the UK cannot act in the interests of the UK. The SNP wants to give up Trident, our last line of defence. The last country to give up its nuclear weapons was Ukraine, and look what happened to them. And Nicola Sturgeon wants the UK to borrow an additonal £180bn. She won’t be paying for that, we and our children will. The SNP’s economic arguments are based on wishful thinking: “it’s our pound” currency, and an oil price that has more than halved since September. Last week, The Government Expenditure and Revenue Scotland (GERS) -the SNP Government’s own report - showed we would have a deficit of at least £6.5bn. The three Union parties were united in the points they made in parliament and in the media. The SNP’s only response was to accuse opponents of “talking Scotland down” and trot out vague suggestions about economic growth. Add to that their centralisation of power, for example Police, Councils, and planning (hence the proliferation of unsightly and uneconomic windmills), and chopping of 100,000 college places, and you have to wonder how on earth they are doing well in the polls. The SNP candidate is 23 year old party worker Stuart Donaldson. It has to be crazy that, in one of the most difficult and dangerous periods for Britain’s democracy, economy, security and survival as a united country, our MP could be someone who has neither the background and experience to address the massive issues our country is facing or the motivation to act in the interests of the whole of the UK or West Aberdeenshire. The basic question for WAK voters who support the Union is this: should I vote Conservative or LibDem? It is up to the two candidates to convince us who has the best policies. Sir- What are you doing on Thursday, March 26? Are you part of the wave of Purple Day fun activities sweeping the nation to draw attention to epilepsy? Last year our social media supporters decided to turn the spotlight on Purple Day. Thanks to their efforts, iconic landmarks including The SSE Hydro, Falkirk Wheel and Oban’s McCaig Tower were lit up in violet tones to get people talking about epilepsy. We hope even more buildings will glow purple this month to help us highlight this often hidden and stigmatising condition.